The following is a list of the Lieutenant Governors of the Colony of Nova Scotia between 1786-1867. Sir John Wentworth was born into a merchant family in New Hampshire. He was educated at Harvard University and from there became the Governor of New Hampshire, thanks to some influence from the Marquess of Rockingham, an English relation. He was deposed of his position in 1775 and took refuge first in Boston and then in Halifax. Sir John was appointed the first civilian Governor of Halifax and was considered popular by its citizens. He improved the roads and fortifications. As well, he raised a regiment for defense during the war with France in 1793. His greatest and longest lasting achievement was the construction of the vice-regal residence in Halifax, the famed Government House. Wentworth was created a baron in 1795. He died and was buried in Halifax in 1820. 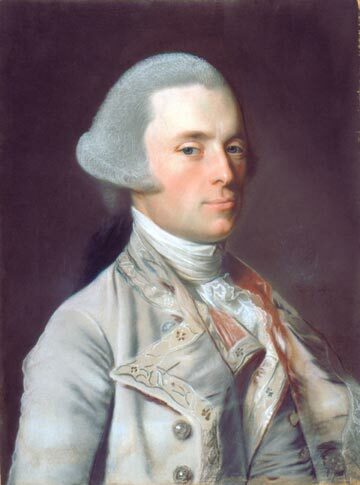 Born in New Jersey, Sir George Prevost came from a colourful lineage that included a French-speaking Swiss father who fought at Quebec in 1759, and a grandfather who banked in Amsterdam. Prevost began a career in the military in 1779 in his father's regiment but was wounded fighting in the West Indies. Years later, he rose to become the Lieutenant Governor of St. Lucia and then to the Governorship of Dominica, which he recaptured for the British in 1803. By 1808, Prevost had been created a Baronet and was appointed to the position of Lieutenant Governor of Nova Scotia. He was soon occupied by the war of 1812 and his previous military record was unfortunately tarnished by an unsuccessful attack on Plattsburgh in 1814. He died in Sussex soon after, before he could stand for court-martial. A native of England, Sir John Coape Sherbrooke began serving in the army in 1780. He was first stationed in Cape Breton between 1784 and 1785, though he saw extended service in Europe as well as in India and Egypt. He was later knighted for his distinguished service at Talavera. As Lieutenant Governor of Nova Scotia, Sherbrooke conducted its defense in the pivotal times of the War of 1812. He also led a successful expedition to Penobscot and was appointed Governor of Canada, as well as Lieutenant Governor of Nova Scotia. Unfortunately, a stroke forced him to retire to Calverton, Nottinghamshire, where he died in 1830. National Gallery of Canada: Lord Dalhousie: Patron and Collector; exhibit 15 February - 11 May 2008. After the death of his father and succeeding the earldom, George Ramsay joined the British army in 1788, quickly rising through its ranks. He fought in the French Wars and was present at Waterloo. By 1809, he was a lieutenant general. In 1816, Ramsay was appointed Lieutenant Governor of Nova Scotia, where his most memorable legacy was the founding of Dalhousie University, in 1818. After his departure from Nova Scotia, the 9th Earl of Dalhousie became the Governor of Canada, serving in that role between 1820 and 1828. The following year, he moved to India to become commander-in-chief. He died in Scotland at Dalhousie Castle in 1838. Born in Great Britain into a family from Southampton and Edinburgh, Sir James Kempt entered the army in 1783 and served in the French Wars and was at Waterloo. From 1807 to 1811, he was removed from military battles and posted as quartermaster general in North America. Kempt was appointed Governor of Portsmouth in 1819, and a year later, Lieutenant Governor of Nova Scotia. He was promoted to Governor of Canada, serving between 1828 and 1830, and then returning to London in late 1830 to end his career as a member of the privy council. Sir Peregrin Maitland joined the army at the age of 15 and served in the French Wars, commanding his own brigade at Waterloo and being eventually knighted for his efforts. Maitland arrived in Canada in 1818 with an appointment to the position of Lieutenant Governor of Upper Canada. He was then appointed Lieutenant Governor of Nova Scotia in 1828. He held similar positions in India and South Africa until his death in London, in 1854. Born in Scotland and educated at the famed Perth Academy, Sir Colin Campbell left his home for a life on the high seas. Following an adventure to the West Indies, he set sail for India as a midshipman in 1792. He entered the army as lieutenant in 1795 and returned to the West Indies and in India to serve. Following demonstrations of bravery under fire, Campbell was assigned as aide-de-camp to Lord Wellesley in the Peninsular War and was knighted in 1814. He was appointed Lieutenant Governor of Nova Scotia in 1834; however, he was recalled by the Colonial Office due to complaints about his resistance to responsible government. He went on to serve as the Governor of Ceylon before his death in London, in 1847. Lucius Bentinck Cary, the 10th Viscount Falkland, took his father's title in 1809, beginning as Lord of the Bedchamber to William IV. His political life began as a reformer in Scotland, where he was elected as a peer in 1831. He was soon created a baron in the peerage of the United Kingdom. In 1840, on the heels of the recall of the previous Lieutenant Governor, Cary was sent to Nova Scotia to calm a tense situation. While in Halifax, he resisted responsible government and thus clashed with Joseph Howe, who at one point threatened to horsewhip him. After his posting in Nova Scotia ended, Cary became captain of the Yeoman of the Guard, from 1846 to 1848. His final post was as the prestigious Governor of Bombay in India. He died at Montpelier in 1884. 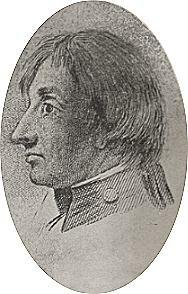 Sir John Harvey began military service in 1794 during the wars against the French. He was appointed deputy adjutant general of the British forces in Canada during the War of 1812. After the famed struggle at Stoney Creek in 1813, he became known as a hero, receiving a knighthood in 1824. His short Lieutenant Governorship in Prince Edward Island resulted in a failure to resolve the economic problem of land distribution. He was then appointed as Lieutenant Governor of New Brunswick and met hostility there, too. His time in Newfoundland was more successful, as he worked diligently to heal wounds of religious tumult. He also helped during the great fire of 1846, before departing for Nova Scotia. He had the privilege of inaugurating responsible government as Lieutenant Governor before dying in Halifax, in 1852. Born in England as the son of a major general, Sir John Gaspard LeMarchant followed in his father's footsteps, joining the army at 17. He became one of the youngest men to ever command a regiment as a major in Cape Colony. He was knighted after his 1835-37 service in Spain. Sir John was unexpectedly offered the Governorship of Newfoundland and took the posting, despite no prior experience in colonial administration. When he arrived in April 1847, he found the inhabitants of St. John’s homeless as a result of a terrible fire that swept through the city. This problem was exacerbated by a potato blight and extensive damage caused by a hurricane the previous September. During his tenure, he encouraged good farming and traveled widely. However, he was opposed to responsible government and his poor popularity in Newfoundland led to a transfer to Nova Scotia, where he was less controversial and more judicious. After holding a number of similar posts internationally, LeMarchant died in London. Born in Whitby as the son of the first marquess, George Augustus Constantin Phipps also held the courtesy title of Mulgrave. His military service began in 1838, followed by his political career; he was a member of parliament from 1847 to 1858. Phipps was also comptroller of the royal household and a member of the privy council in 1851. As Lieutenant Governor of Nova Scotia, his reputation was tarnished by political turbulence which resulted in his dissolving the legislative assembly. His other postings included the Governorship of Queensland, New Zealand and Victoria. Sir Richard Graves Macdonnell was born in Dublin, the son of a provost of Trinity College, where he was later educated. As a legal scholar, he was called to the bar in 1841 and was appointed as chief justice of The Gambia. He held the governorship of The Gambia in 1847 and South Australia from 1855 to 1862, and was later knighted in 1856. Macdonnell came to Nova Scotia in 1864 with instructions to force a Maritime union. He opposed the downgrading of Lieutenant Governors at the Quebec conference in 1864. His last posting was as Governor of Hong Kong. He died in France in 1881. Born in Annapolis Royal the son of the commissary general of Halifax, Sir William Fenwick Williams entered the Royal Military Academy at Woolwich, England, joining the Royal Artillery in 1825. He became the British commander of the Turkish army in Anatolia and was lionized in London for his gallant defense of Kars. He became commander-in-chief of the British forces in Canada from 1859 to 1865, and was belligerent towards the United States in the Trent affair of 1861. As the Lieutenant Governor of Nova Scotia, he was pressed to bring the province into Confederation and retired to New Brunswick that same year. He was knighted as well as created a baronet before dying in London in 1883.